For people just getting started in golf, finding the best set of golf clubs to start with can be a daunting task. As you begin shopping for golf clubs, you will see that there are numerous types and models available. If you are purchasing clubs for the first time, the following guide should help you navigate the process. 1. Which Types of Clubs Do I Need? However, if you're new to the game, you don't really need to get all 14 clubs. Beginner golfers can start with a driver ($75 or less), an inexpensive iron set ($200 or less) and a putter ($60 or less). Add a basic bag ($60 or less), and you'd have enough to get started for under $400. 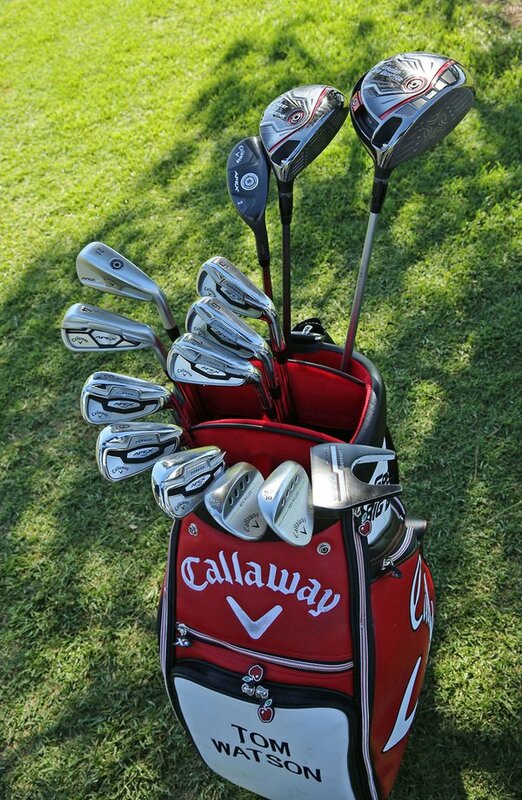 Here is a set of 14 golf clubs in a golf bag. We also offer complete club sets starting at $199.99. This is a great way to purchase your first set because complete club sets come with a golf bag, a driver, fairway wood(s), a set of irons, and usually a putter. Purchasing a complete club set allows a new golfer to have almost everything a player needs to hit the course. 2. What About the Shaft Options? The shaft makeup (graphite or steel) and the shaft flex (amount of shaft bend during the swing) are the two most important factors in shaft selection. When selecting driver or fairway wood shafts, you will be looking only at graphite shafts. When selecting irons you will have a choice between steel and graphite. Graphite shafts are lighter and allow players to maximize swing speeds. Graphite shafts are typically more expensive because they are lighter and higher quality of material. Steel shafts are heavier, but also more durable and less expensive. Players with a more deliberate swing speed (e.g. seniors, women, or juniors) will benefit from a graphite shaft with a lighter/softer flex. Players with a faster swing speed will benefit from a regular or stiff shaft. (Please refer to our Primary Factor in Shaft Selection article for additional information). 3. How Much Should I Spend? If you are unsure if golf is your game or if you plan on playing only occasionally (1-2 times a month), spend less on your initial purchase. Complete sets are often the best way to go in this case, as it gets you everything you need at a very modest price point. However, if you have a strong interest and plan on practicing and playing on a regular basis (2-3 times a week), a moderate investment will let you get the most value for your money. If you were to piece together a solid set as outlined above, you could start off with a good set to keep you going for a while. But if you were to get a complete set, you may wear through them quicker and then be in the market again for more clubs. 4. Should I Buy New or Used Golf Clubs? We guarantee all of the pre-owned clubs we sell are genuine. In fact, we purchase the vast majority of our clubs from authorized retailers or directly from manufacturers. If you still have questions about how to get started in golf, our staff of PGA Professionals would be happy to chat with you about it. Email your questions to pga@globalgolf.com or call them at 919-573-8657 and leverage their expertise to help you get started on the right path!